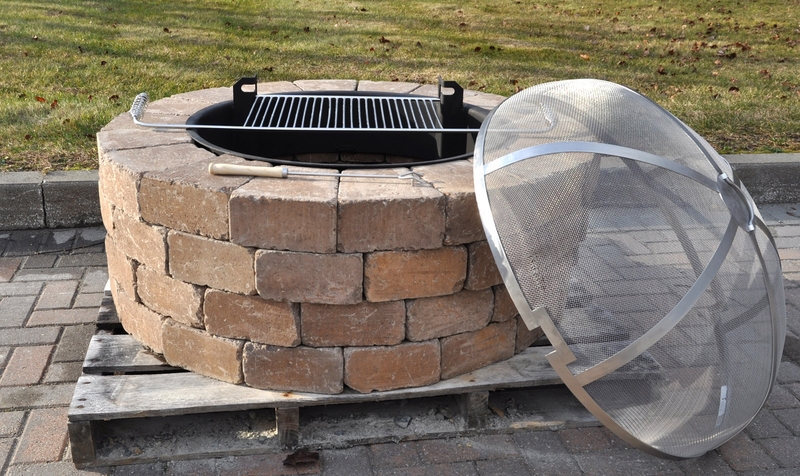 Firepit inserts are a vital component for protecting your stone investment from cracking or discoloring due to extreme heat or severe weather. Our firepit inserts are constructed of heavy-duty carbon steel, coated with non-toxic heat-resistant paint and built to last. Inserts are available with or without a top rim and with or without hinge brackets. Inserts with center-hinge brackets are designed for use with our exclusive tilt-back stainless steel cooking grates to convert your backyard firepit into a grill with the flip of a handle. Stainless steel cooking grates and spark screens in both black and stainless steel are available for all insert sizes and styles.